After unveiling the 2019 Subaru WRX Raiu Edition last fall, the Japanese automaker strikes back with the BRZ Raiu Edition on display at the Montreal Auto Show. It’s yet another limited-edition, Canadian-exclusive car, but that resembles the BRZ Series.Gray available in the United States, also in limited quantities. The Raiu Edition can be distinguished first and foremost by its Cool Gray Khaki paint, but also by some cosmetic add-ons and dark grey alloy wheels, all taken from the STI accessories catalogue. The cockpit is dressed up with sport seats covered in leather and Alcantara, highlighted by red contrast stitching. Based on the BRZ Sport-tech RS, the Raiu Edition relies on all the performance components available for the little sports car, including Brembo brakes with bigger front discs and SACHS dampers. The 2.0-litre four-cylinder engine is unchanged, delivering 205 horsepower and 156 pound-feet of torque, matched to a rear-wheel drivetrain and a six-speed manual transmission. 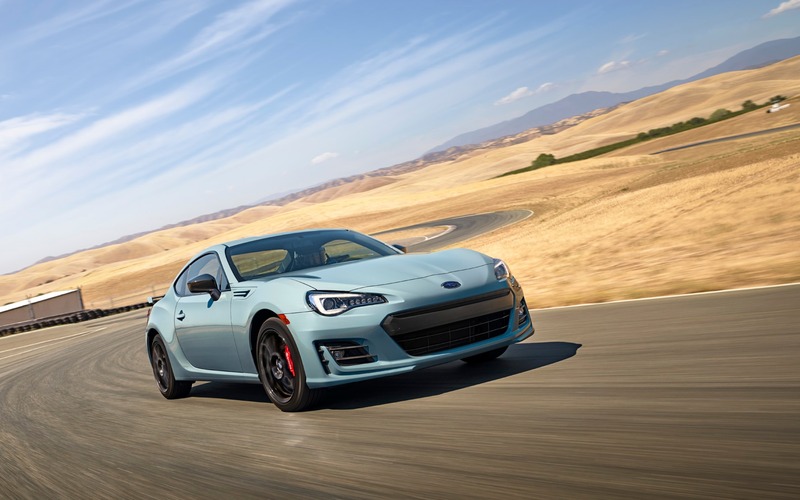 Pricing for the 2019 Subaru BRZ Raiu Edition has been announced at $33,795 before freight and delivery charges, and if we’re interested, we’d better act soon, because only 100 units will be offered in Canada. Test Drives 2019 Toyota 86 TRD Special Edition: Ok, Now What?